Hello! It’s the third Thursday of the month, which means it’s color challenge time again at CAS Colours & Sketches. Once again, Lizy has selected a color combo using some of Stampin’ Up’s newest In Colors. If you don’t have the new colors, it’s OK – just use whatever colors you have that closely match. 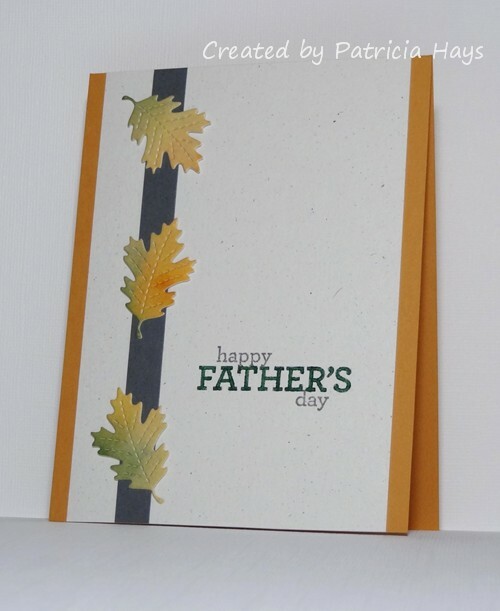 Since Father’s Day is coming up this Sunday, that decided the theme of my card this week. 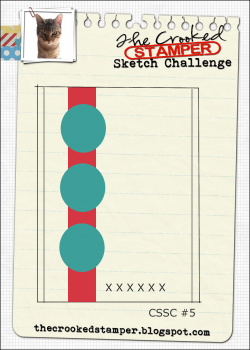 The layout of my card is very similar to our CC&S sketch challenge last week, but it’s actually taken from The Crooked Stamper Sketch Challenge. I colored a scrap of watercolor paper with some mustard yellow and rich green ink, let it dry, and die cut the leaves from it. The word “Father’s” on the stamp is an outline image, and I’ve colored it in with a marker to use more of the green in our color challenge. The leaves count as foliage for the current Shopping Our Stash challenge. 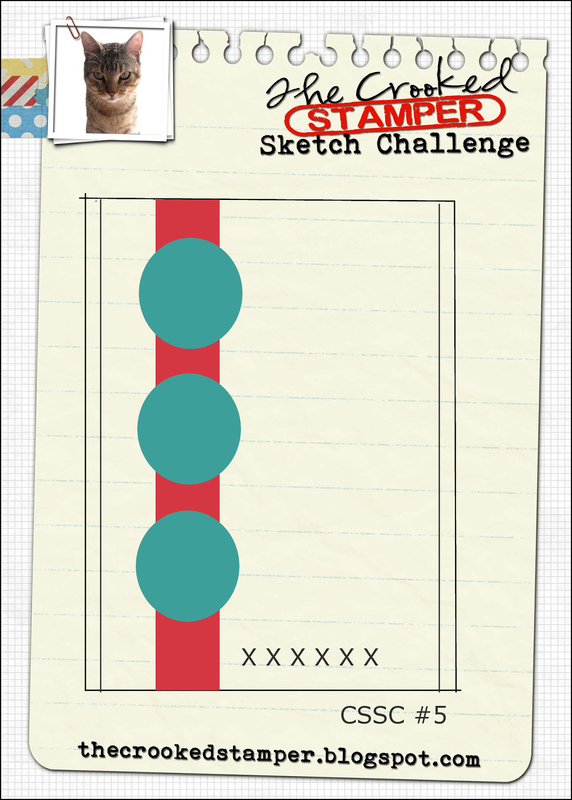 Since it’s a clean and simple styled card, it also works for the current challenge at Addicted to Stamps and More. Now it’s your turn to create a clean and simple styled card using these colors, and share it with us at the CC&S site! You have until 6:00 p.m. Eastern time Wednesday, June 24 to link your card. We hope you’ll join us! Those leaves are beautiful! Great idea to colour in the sentiment too. Well done on combining all those challenges. So smooth! Love how this looks, especially the leaves – they almost look gilded. I love your leaves, they manage to be rich and subtly shaded at the same time. I love the way you’ve done the sentiment too. Really lovely card. Thanks for playing my CSSC! Hi, me, again with a different hat. Still loving those leaves. 🙂 Thanks for joining us at Shopping Our Stash!